﻿ Foster, John Gay. Letter to General Philip H. Sheridan. Tallahassee, August 6, 1865. Foster, John Gay. 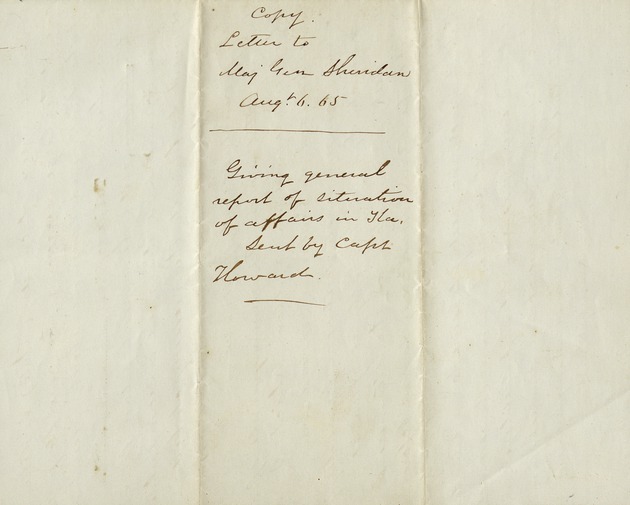 Letter to General Philip H. Sheridan. Tallahassee, August 6, 1865.